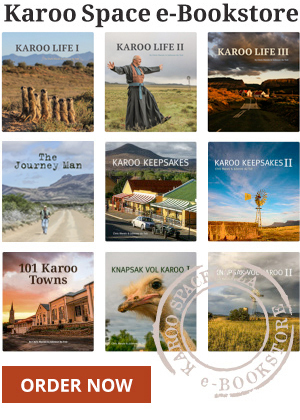 You are here: Home > Namaqualand – The High Road Less Travelled. 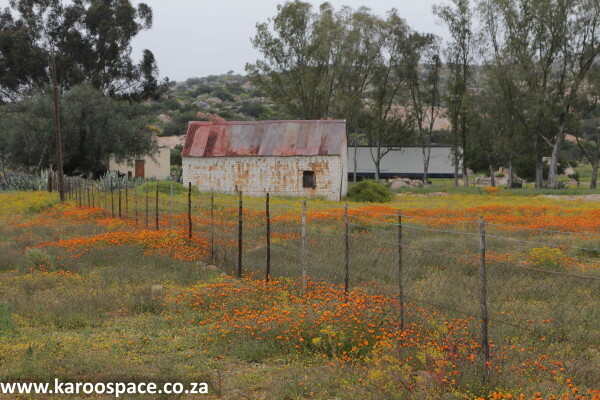 Namaqualand is a place where time moves in circles. Slow circles. 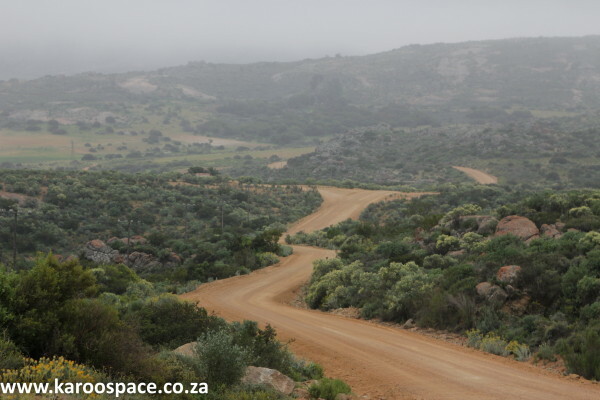 Life is not easy there, but you can always catch up when you fall behind in Namaqualand, or you can wait until the cycle comes around to you again. 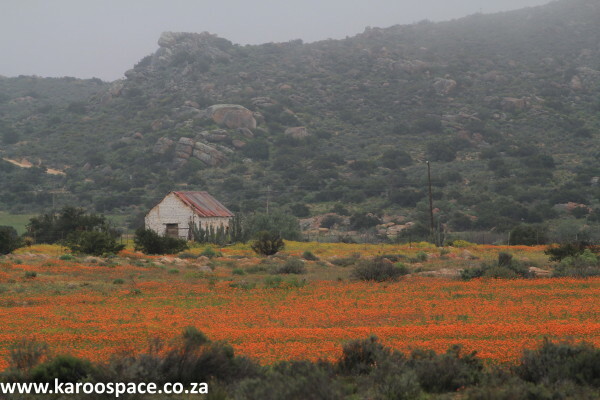 In Namaqualand strange is normal and normal is easy-going. It is not strange to see a white man and a brown man travelling together on dusty roads over ancient mountains. Bradley was a white man. He looked like he belonged behind the wheel of his Lexus RX350. His clothes were ordered online from designer websites around the world. He booked air tickets online. He did everything onine. He would go for his haircut online if he could. His Lexus was more a mobile office than a car — an expensive computer on expensive wheels. He could Link-In, Facebook, Tweet, Twitter, Blog, Google and whatever from his installed optional extra computer system. There was also a satellite-phone, plasma screen TV in the back seat, GPS, Tracker and surround-sound for the iPod. No one called Bradley Brad, except for his friends. In other words no one called him Brad. He did, however, have 1 243 Facebook Friends. And he was Linked In all over the world. Even places like Uzbekistan, Guam and Anchorage, Alaska. Bradley was very bright, but his brain was linked direct to his computer — it totally bypassed his heart, which was kept in sync by a pacemaker. Comparing humans to computers, Bradley would be the equivalent of a pocket calculator with no scientific functions. Abram was a brown man. He was a Namaqua born and bred. His ancestors were painting pictures on cave walls long before time was trapped and held captive in digital cages of minutes and seconds. Cell phone? Abram didn’t even have a party line phone. Hard to have a party line when there is no operator. She was made redundant six or seven summers ago, just after the big flood. 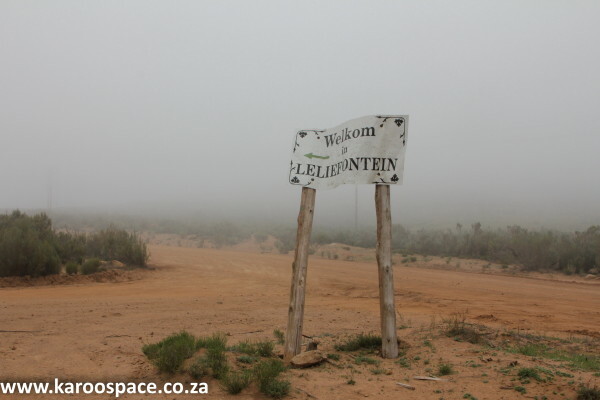 Abram had lots of friends in Leliefontein and the surrounding area— but not one Facebook Friend. The world that Abram lived in was small, but the universe he inhabited was immense. He knew the sun and the moon and the planets, and the stars they moved amongst. He knew about tiny geckoes that lived under rocks in sandy places, and the songs of birds. So, as was mentioned earlier on, it was not strange to see Abram and Bradley travelling along together in Namaqualand. Their paths had met in no-man’s land between humanity and technology, and were now heading in the same direction for a while. It was on the dirt road between Platbakkies and Witwater that they became travelling companions. As they say in that part of the world, the one on wheels stops for the one in shoes — if he is lucky enough to have shoes. There was a half-comfortable silence between the two men. Bradley was a bit out of his comfort zone. Abram’s eyes took in the familiar mountains and the ochre sand road that wrapped itself gently around the mountains, not intruding on their age old patience, but making them more inviting, not as forbidding when first seen by explorers centuries ago. Bradley couldn’t really stand all this silence. Brad knew little about life outside of computers, and Googling was a bit awkward right then. He knew what a mission statement was, but not a mission station. “Oh, it is a place where people do the work of God,” replied Abram. Bradley was surprised when he heard himself making this last remark. He had never even thought about whether God existed or not. If it had no logic it didn’t exist on Bradley’s flat-screen earth. “A lot of people don’t, and a lot of people do,” was all that Abram said. “Do you have computers on this mission station of yours?” Bradley asked, simply to bring something he knew into the situation. Bradley could not converse without asking questions. This surprised Bradley. He could maybe see this weathered man with his felt hat playing a guitar, but not a piano or an organ. Not that he knew much about the organ, other than it being an old fashioned key-board. As for writing music, well he would take that with a pinch of salt too— doubted that this old and wrinkled man could read or write normally, forget about music. This was a bit too much for Bradley to take in. But he continued with his chain of thought. Silence again. For the first time in his life Bradley was finding an irrational sort of comfort in the stillness. But he couldn’t stop the questions from jumping out his mouth. “That plant is what we call the Kattekruit. The children dance around it sometimes and sing ‘kattekruie, kattekruie daar staan die kattekruie, dis ‘n lekker kruie’. As Bradley turned his eyes back to the road he saw the picture of the Kattekruid in his mind, but not only the flowers, also the children dancing around them. He could even hear the singing, which freaked him out a bit. Before he would have snapped the picture on his phone or iPad, sent it to a whole pile of contact numbers, where it would have been deleted and forgotten. Now he was living the picture, and he had no physical record of it. He found this strangely exciting. As Bradley looked towards the kapokbossie he thought he must be seeing things – beyond the kapokbossie was a range of mountains far the distance, and beyond that a line of blue that almost looked to be part of the sky. “That looks like the sea over there,” he said. Bradley was feeling a bit dazed. He was being exposed to thoughts that were being generated without the help of computers. He was hearing facts that he couldn’t immediately verify by going on to the internet. The idea that there were free thoughts floating around here was a bit disturbing to him. And all this witch-doctor medicine stuff that Abram was talking about — were there quacks getting rich selling primitive people cures that did nothing? Mind you, that was what pretty much happened in his world— doctors selling expensive pills that had more side-effects than cures. This thought put him into more of a spin — he didn’t think cynical thoughts. Bradley was becoming decidedly disorientated. The thought came to him that Abram did not talk like he looked. He knew things, but at the same time he was not interested in computers. Was his world so small that he was unaware of what technology had brought to the world, or what he could do if learnt more about the technology that was around? Abram thought a bit before answering. This piece by Les Hellmann came third out of 600 entries in the 2016 SA Writers College Competition. 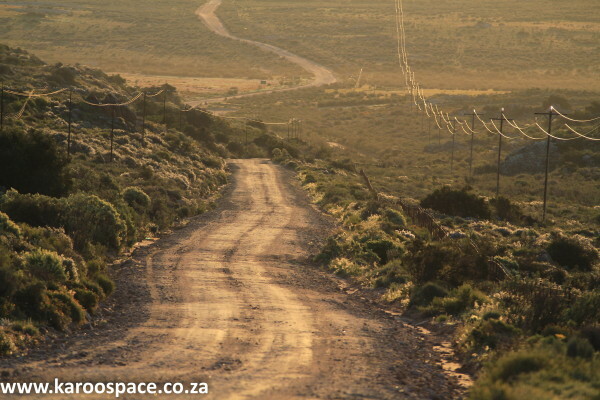 4 Responses to Namaqualand – The High Road Less Travelled. Lovely read and the end caught me by surprise. Thank you. [I was wondering why a brown man named Abram was so eloquent in English…. denoument definitely at the end..] Don’t judge a book by its cover, right ? wonderful story! 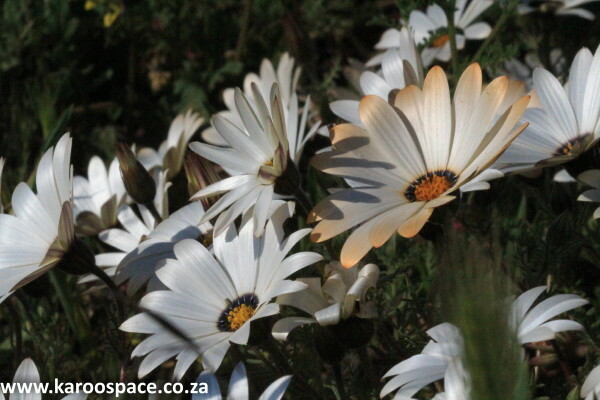 I recall taking pictures of my daughter at the farm with the orange daisies and fence 2 years ago.